After the great Oe Masaji sensei, Musojikiden Eishi-Ryu continues to thrive over the last century. Another notable figure who has not only advanced the spread of Iaido in modern society, he also encouraged the collaboration and coexistence of multiple schools and styles of martial arts. This was the 20th Soke Kono Hyakuren sensei (河野百錬). He entered the school and was the student of both the 18th and 19th Sokes Hokiyama Namio (穂岐山波雄) and Fukui Harumasa (福井春政). His dedication to the art moved both generations of Soke, practising at least 5 to 6 hours each day. Hokiyama gave him his name of Hyakuren, meaning “hundred practises”. Kono sensei became the 20th Soke in 1950. He continued in the development of Musojikiden Eishin-Ryu by researching and improving on the less taught Okuden techniques. He was also a great diplomat in the martial arts world. After the Second World War, the martial arts world faced yet another period of make-or-break. Traditional Japanese martial arts were perceived as a relic from an unwanted past. People wanted to distance themselves from anything to do with martial arts, let alone one that taught the use of Japanese swords, a symbol of the Imperial military which led Japan to shame. He saw a need to change the perceived image of Iaido, into one of peace and serenity. He saw that this could not be achieved alone and needed the collaboration of others as well. He successfully mediated between other martial arts schools, especially other Iaido schools. He established the Zennippon Iaido Renmei (全日本居合道連盟) in 1954. He was also instrumental in the establishment of Iaido Chapter of Zennihon Kendo Renmei (全日本剣道道連盟居合道部) in 1956. However, attempts to merge the to Iaido organisation failed despite his greatest effort. 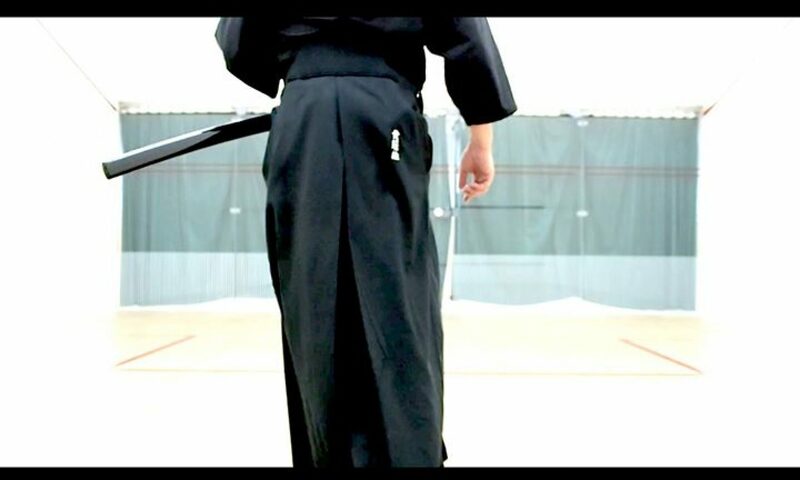 Iaido, not only of Muso Jikiden Eishin-Ryu, was set for a steady path to continue in a changing world. Misfortune struck the school when Kono sensei fell ill and passed away suddenly in 1974. There was no successor named prior to his sudden death. The school split into three branches, led by different senior disciples. One continued as part of the Zennippon Iaido Renmei, the other two groups formed two other alliances:Nippon Iaido Renmei (日本居合道連盟) and Dainippon Iaido Renmei (大日本居合道連盟). In 2010, a subsequent division and formation of World MJER Iaido Federation (正統正流無雙直傳英信流居合道国際連盟). The Iaido we teach at Musokan Hong Kong is one aligned with 日本居合道連盟. Kono sensei was a highly gifted swordsman in modern history, highly ranked both in Iaido and Kendo. He was a very strict but patient teacher. He was admired by all his students, one in particular was still a young boy when he entered Kono sensei’s school following his father. This boy was Yamato Ryumon (大和龍門), my teacher.